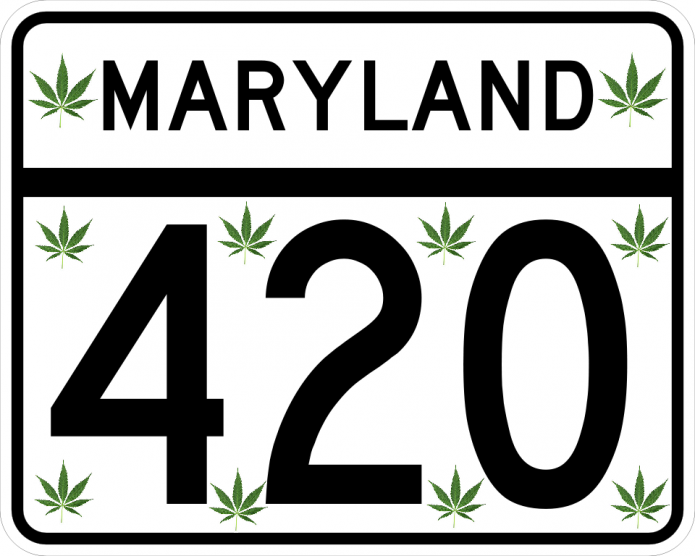 Maryland has allowed marijuana for medical use, but there are stiff penalties for recreational use, even if marijuana is decriminalized (usually used to fine marijuana users and put them into drug treatment). Like a few other states where medical marijuana is legal for those with a valid card and permission, Maryland has no dispensary as of yet. 7 – 30 days, although there may be some backlogs and some have complained of it taking much longer. 30-day supply, to be determined by physician’s recommendation. 2014 – House Bill 881 (HB 881) is approved by Governor Martin O’Malley. This tasked the Maryland Department of Health and Mental Hygiene and the Natalie M. LaPrade Medical Marijuana Commission with developing regulations for patients and dispensaries, including licensing, fees and possession limits. 2016 – The Natalie M. LaPrade Medical Marijuana Commission is allowed to issue the number of dispensary licenses available. 2017 – Doctors and nurses may make a medical marijuana recommendation as long as they are licensed by the Maryland Board of Nursing, Maryland Board of Physicians, the Podiatrist Medical Examiners or the Maryland Board of Dental Examiners. Registry is mandatory for providers in order to start issuing medical marijuana cards. Up to a 30-day supply of cannabis can be issued for patients. Possession of up to 10 g for personal use is a Civil Offense and can bring a fine of up to $100. Possession of between 10 g and less than 50 pounds is a misdemeanor, and can bring up to 1 year in prison and/or a $1,000 fine. Possession of 50 pounds or more is a felony, with a minimum mandatory sentence of 5 years and/or a fine of $100,000. Intending to distribute more than 50 pounds will get you the label of “drug kingpin”, and can mean a mandatory sentence of at least 5 years and, in cases with multiple offenses (e.g. cultivation) may bring the mandatory minimum up to 20 years and/or a $1,000,000 fine. Possession of paraphernalia is a Civil Offense, and though there is no penalty, paraphernalia may be confiscated and a criminal charge may go on record, especially if it’s a repeat offense. Sale/advertising may bring you a misdemeanor charge and a $500 fine. Subsequent violations could mean up to 2 years in prison and/or a $2,000 fine. Trafficking more than 45 kg into Maryland can bring up to 25 years in prison and a fine of $50,000. Less than 45 kg and more than 5 kg, and the sentence is 10 years and a $10,000 fine. Possession of a firearm with cannabis will bring stiffer penalties. Cultivation is treated as possession. However, cultivation may be seen as a sign as wanting to distribute, so this depends on how many plants a person is growing and how much produce they get.